You are at:Home»Herbs»Crataeva nurvala Buch. Latin name : Crataeva nurvala Buch. Description : The bark is antiinflammatory, antiseptic, carminative, diuretic and laxative and is specially useful in urinary complaints such as kidney and bladder calculi, pain and burning sensation. It reduces the production within the body of oxalates, substances that can precipitate in the kidneys and bladder to form stones. It also works well to reduce body fats in obesity. It helps people who suffer from incontinence by strengthening the bladder muscles. It has also been used in the treatment of prostate enlargement. The extract displays antibacterial activity against Shigella and Salmonella. Varuna Bark powder applied on the skin, acts like application of mustard. So it is used in inflammation, abscess and lymphadenopathy. Varuna is appetizer, makes the movements of flatus and feces downward, excretes Pitta, removes the impacted stool, anti infective, therefore used in distension, loss of appetite, pain, liver diseases and worms. 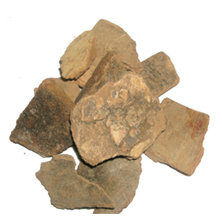 The decoction of Varuna bark is used for purification of blood, gout, internal abscess and lymphadenopathy. Varuna destroys urinary calculi, dysuria and pain in bladder. Its bark powder or decoction is used in these disorders. Varuna’s main action is on urinary calculi. In urinary calculi Varuna is given along with Apamarg, Gokshura, Yavakshar, and Punarnava.